Learn how to see the foreign currency balances of your accounts. When you work in Multi-currency there are times that you want to be able to see the balance in your accounts in both your home (primary) currency as well as the original currency. The Balance Sheet report by default shows you the balances in primary currency, but some of your bank account balances are in foreign currency. It is a requirement of generally accepted accounting principles that the balance sheet must show your bank balances in your local currency. To see the foreign currency balance, change the currency field to Original Currency. 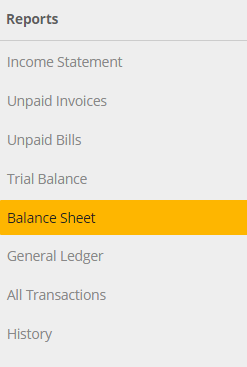 You can also see the details of the foreign currency balance of accounts by clicking on any of the accounts that show up in the Balance sheet.